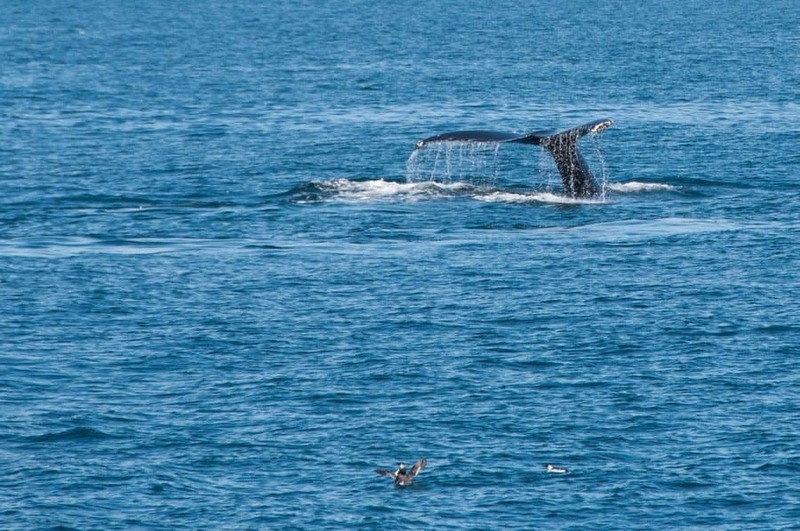 One of my most memorable travel experiences was a morning spent whale watching in Monterey California. We’d already had a fantastic time the day before wildlife spotting in Monterey as we walked the Bay. That paled in the shadow of the epic boat trip we took the following day. Whale watching Monterey Bay was the most memorable day of our two-week road trip and one which I’d been looking forward to since we arrived in California. 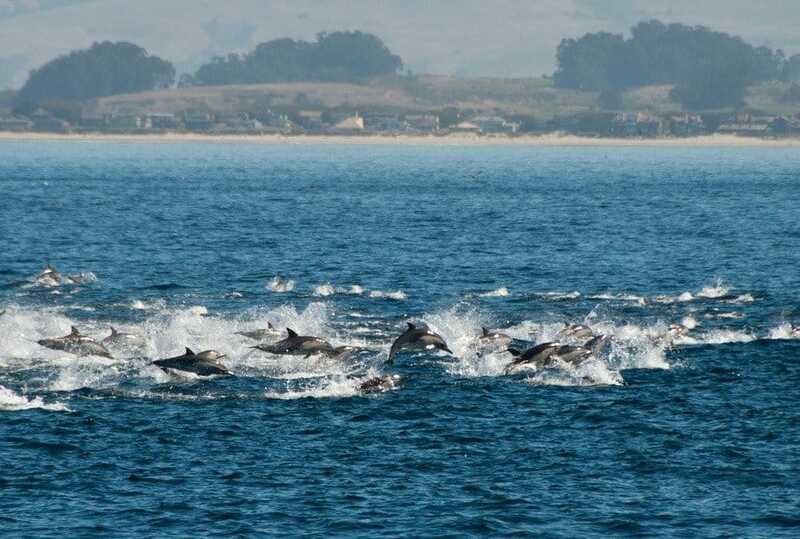 Monterey Bay, California lies on the west coast of the US around 133 miles south of San Francisco. It’s a place of natural beauty with cobalt blue sky mirrored in a sparkling ocean. It looks much like any other ocean scene on a sunny day as gulls soar and white surf rolls over the water in the race to shore. But beneath the ocean is one of the deepest canyons in the earth’s seabed. And it’s brimming with life. Whale watching at Monterey is epic. 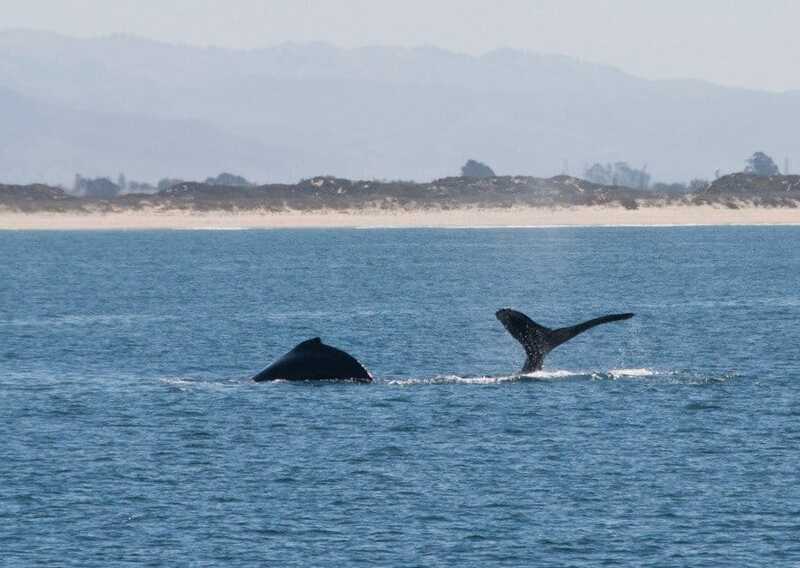 Stand on the shore and you’ll spot a whole lot of wildlife in the seas and if the season’s right you’ll have some whale sightings in Monterey Bay itself. 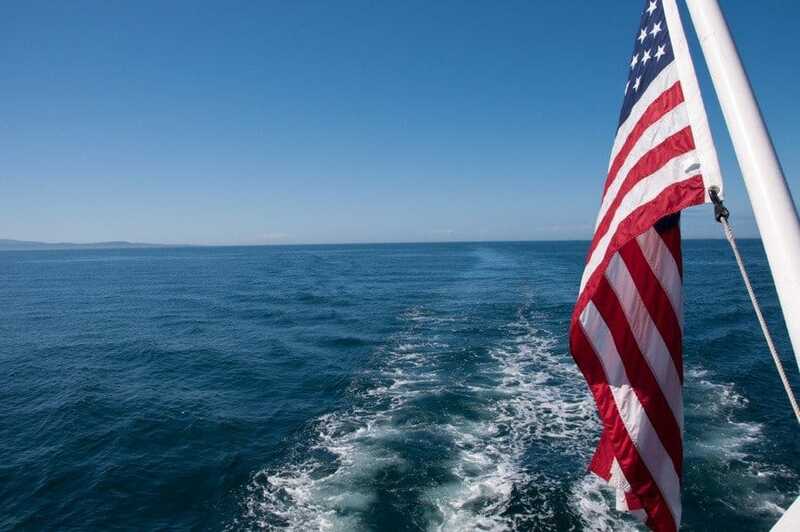 Take a boat out to the edge of the canyon on one of the Monterey whale watching trips and, if conditions are right, you’ll witness the nature of the Pacific in its full awe-inspiring glory. We saw Killer Whales, Humpback Whales, and a pod of over 300 Common Bottle Nose Dolphins. Blue Whales are also spotted on the whale trips but we weren’t lucky enough to see any on the day we went. It’s not just about whale watching. 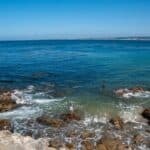 Monterey has an abundance of sea wildlife and we saw harbour seals, sea otters, pelicans and many types of sea birds during our visit. 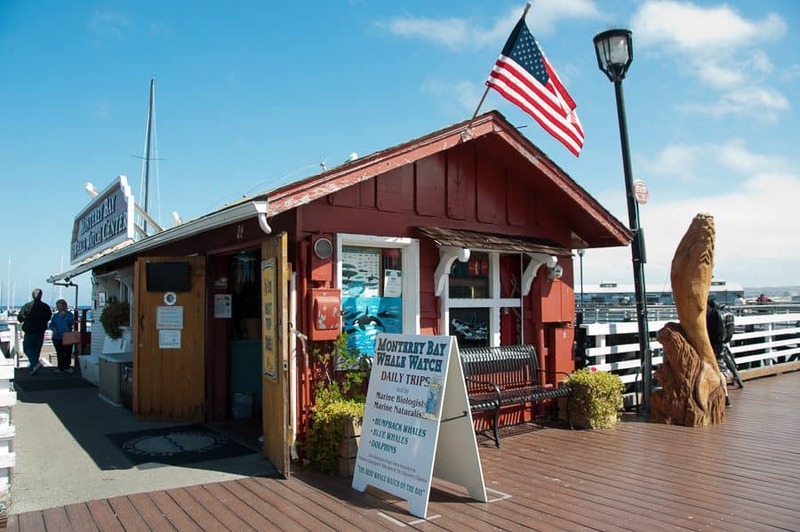 We walked down to Fisherman’s Wharf after filling up on ‘the best breakfast in town’ at Monterey Café and headed for the unimposing, brown, wooden hut belonging to Monterey Bay Whale Watch. Although you can reserve places they won’t confirm or allow you to pay until they are sure that conditions are good enough to go out on the water. We went on our whale watching trip in mid-September and the day dawned clear and blue with calm, sparkling sea. Perfect whale watching weather. We waited eagerly to board Seawolf, one of the company’s two boats. We chug out of the harbour passing sea lions basking near the harbour wall, cute sea otters clinging to each other in the kelp beds and low-flying pelicans skimming the water. 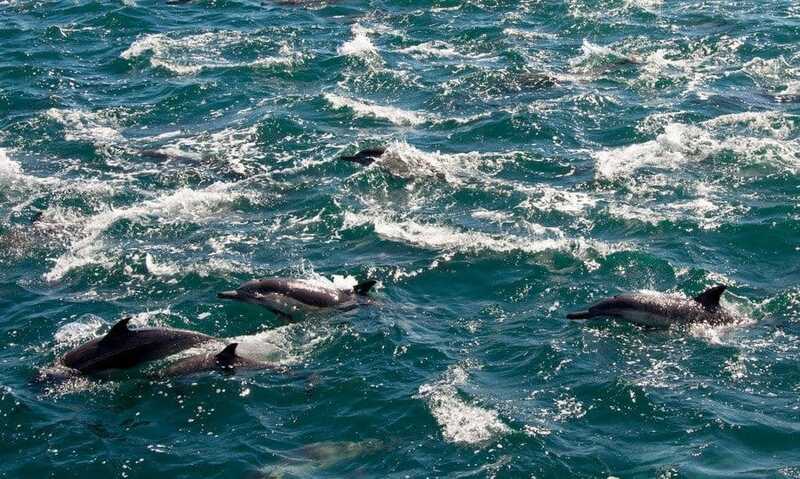 On board, marine biologist, Kristin Robinson, tells us of the cetaceans that we may see on our whale watching trip. Some species pass by on their annual migration to feed at the edge of the canyon or mate in the area and others, like the grey whale, have made it their year-round habitat. Once out to sea the engines ramp up and we cruise at a good speed across the water enjoying the sunshine and the salty breeze. 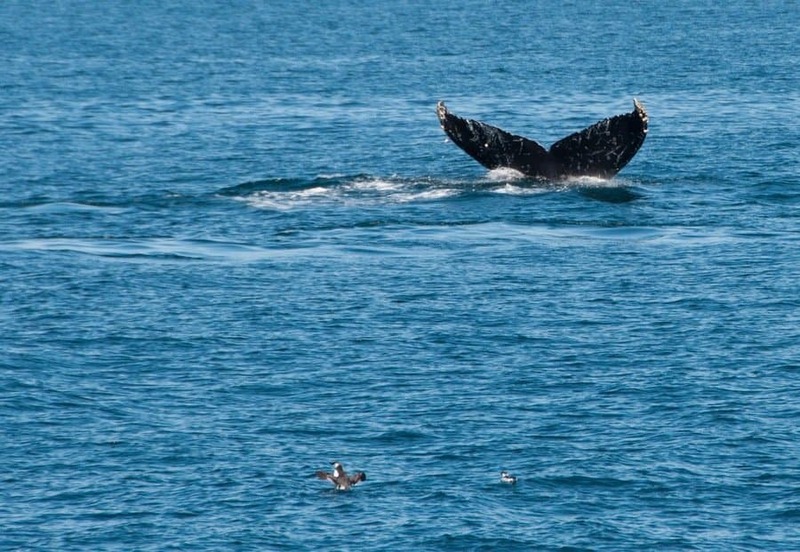 Read about how to become a responsible Whale Watching Guide. Suddenly, the engines slow and a hush of anticipation falls over the boat. Everyone’s scanning the seas for signs of life. An announcement over the PR system tells us we’ve stopped to pick up a deflated helium balloon. These land in the sea and cause huge problems for leatherback turtles and other wildlife so they’re always collected and safely disposed of along with plastic carrier bags. We’re off again heading in a different direction towards two other boats and there’s something out there. We slow down and spot the sun glinting off a wet, black, fin jutting from the water and there’s another, smaller fin. Orcas. We’ve found a pod of killer whales. Seven Orcas in total and they’re fast; slipping in and out of the water displaying flashes of white as they break the surface to check us out. The killer whales are huge with males ranging from 7 to 9 metres (23 to 30 ft) long weighing in excess of 6 tonnes with straight dorsal fins up to 2 metres high. The smaller females have a curved dorsal. The boat is buzzing with excitement, but there’s more. Kristin asks us to look ahead of the boat, about 200m away, at a dark patch of water. I look closer and realise that the dark shadow is a moving, leaping mass of 200-300 hundred sleek, grey dolphins and they’re beautiful. But things are about to kick off. The Orcas are looking for a kill and the long-beaked dolphins have no idea they’re being trailed. And then they do. Within seconds, the dark patch of water turns to a foaming frenzy as the dolphin sense danger and take flight leaping, darting and flashing through the water. The boat is keeping up with the Orcas and we motor alongside them watching as they single out a dolphin from the outside edge of the pod. 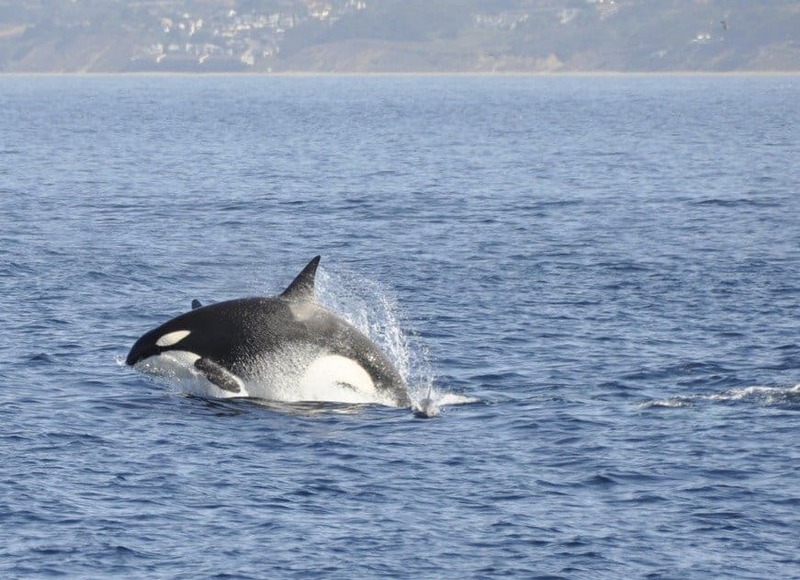 There’s a baby whale amongst the Orcas and they’re teaching it to hunt. They pop their heads out of the water to help locate their prey and we’re told this is called spy hopping. The pod of orcas pick out a dolphin to hunt down and, working as a team, separate it from the other dolphins circling, chasing, leaping and closing in until the dolphin is exhausted and defeated. It was amazing to see the Orca breaching as it hunted down its prey. The Orcas form a feeding huddle, their noses dipping beneath the surface, fins piercing the water as they feed. The blubber is fuel and will keep them going longest. A spurt of blood-red seawater bursts from a blow hole. 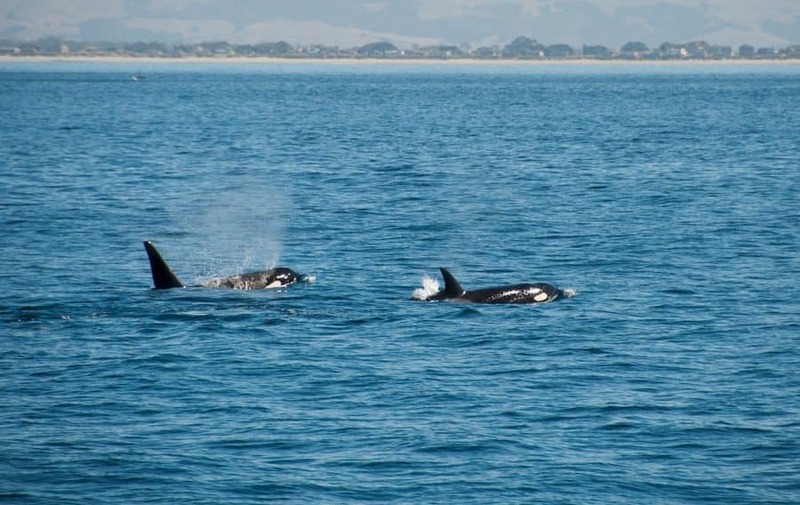 There’s more sea life in these waters and in the chase to hunt down their feed the Orcas have strayed into the territory of some huge Humpback Whales. True to form, they’ve got the hump about the intrusion and make it quite clear to the Orcas. The humpbacks move in on the Orcas announcing their fury by grunting and bellowing loudly as they spout fountains of spray and slap the surface (pec-slapping) of the water with their huge, barnacle encrusted fins. At this point we don’t know where to look first – we have the family of Orcas to the left of the boat, the pod of 300 dolphins ahead of us and to our right the unhappy humpbacks. We can’t believe we’re witnessing these incredible displays of nature at such close quarters. The Orcas heed the warnings and head off which gives us a chance to check out the humpbacks as they wallow in the oily, anchovy laden waters. The whales are huge, but they’re shy today and we don’t see a full breach. They roll sideways and flip lazily in the water before diving, exposing a fin or a shiny expanse of back. The flukes (tail fins) are the last part of the massive creatures to disappear into the depths as they cascade waterfalls of sparking sea water. We can see jets of spray right into the distance and guess that around a dozen humpbacks are nearby. Kayaking in Monterey Bay is popular and we head over to some kayaks where more humpbacks are surfacing. Just two days before a humpback breached over a kayak sucking the two British tourists deep in the water. Luckily they survived, shocked but unscathed – it hasn’t put people off. 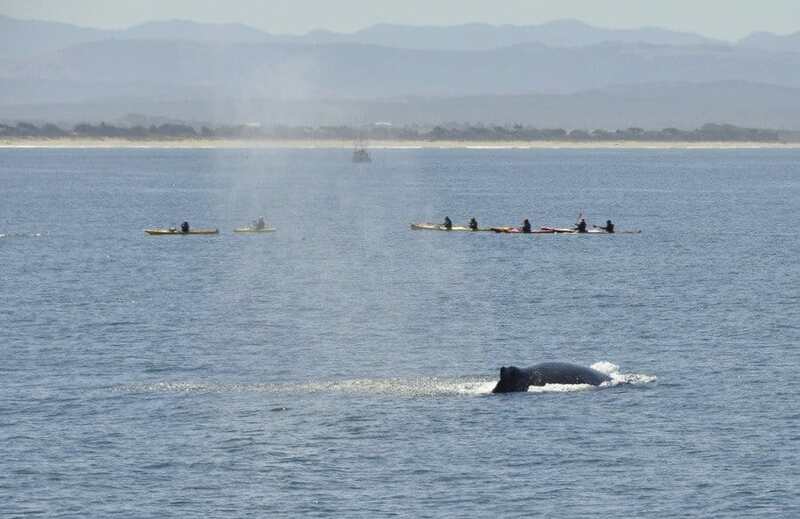 The whales are breaching just feet away from the kayaks. Two large whales dive deep for food leaving just two oily circles on the ocean’s surface. After feeding for 10-15 minutes they’ll reappear spurting jets of seawater high into the air as they surface. We don’t have time to wait for them to re-emerge as we’ve been out for around 3.5 hours and need to head back to shore. The huge pod of dolphins, which have been near to us continuously swim up alongside the boat displaying one last graceful swim-past. They flash through the water, sleekly dipping and diving and then they’re gone. It’s quiet now just the boat, the ocean and a warm breeze as we head back to harbour after an exhilarating morning’s whale watch. 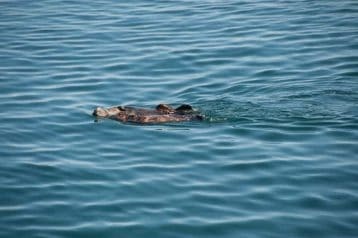 Finally, we spot sea otters basking in the sun as we near the harbour. 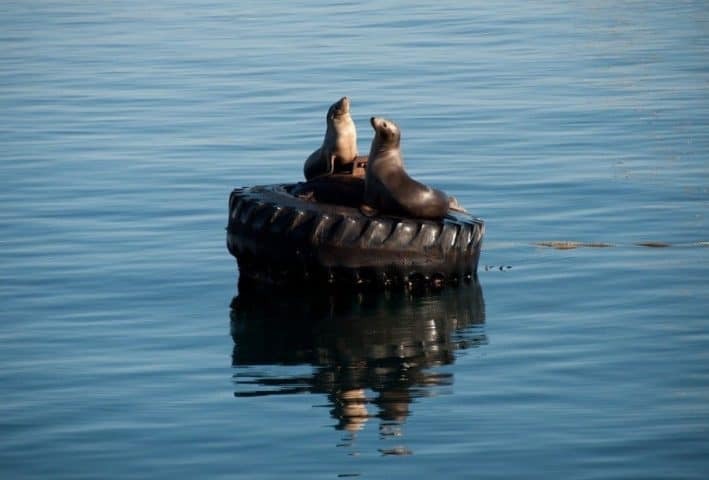 Not all whale watching boat trips in Monterey are equal. Our whale watching tour was with Monterey Bay Whale Watch. We researched and chose our tour carefully. Some of the other whale watching tours leaving from Fisherman’s Wharf use recorded commentary. How a recorded message can tell you about what you’re seeing right at that moment I’ll never know. 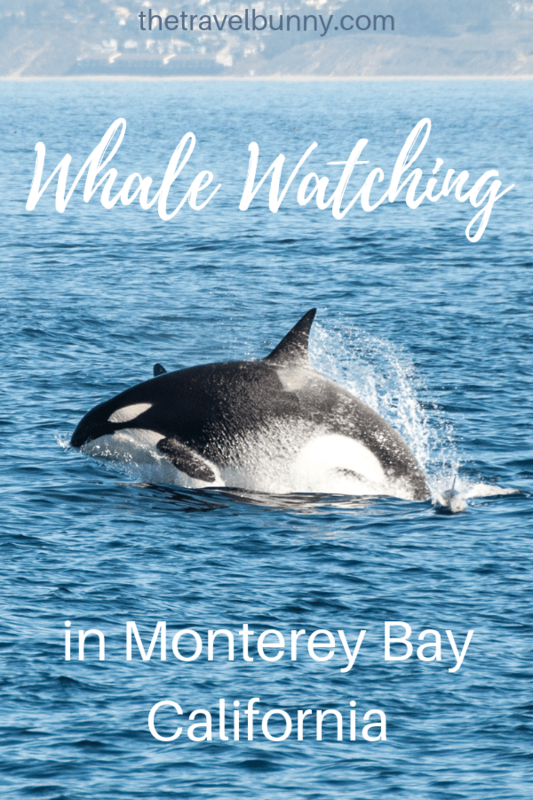 Monterey Bay Whale Watching has a marine biologist on board with excellent live commentary and their focus is on learning about the whales and their environment, conserving their habitat and being respectful towards them as living beings. Places can be reserved online or at the Whale Watch office but payment is taken on the day in case of bad weather. We took the 9am sailing as we figured the earlier 8am boat will have located the wildlife already and no time would be wasted searching. 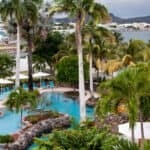 We paid $49 per person for this trip which is excellent value. If no whales are sighted the company offer a free trip on another day. 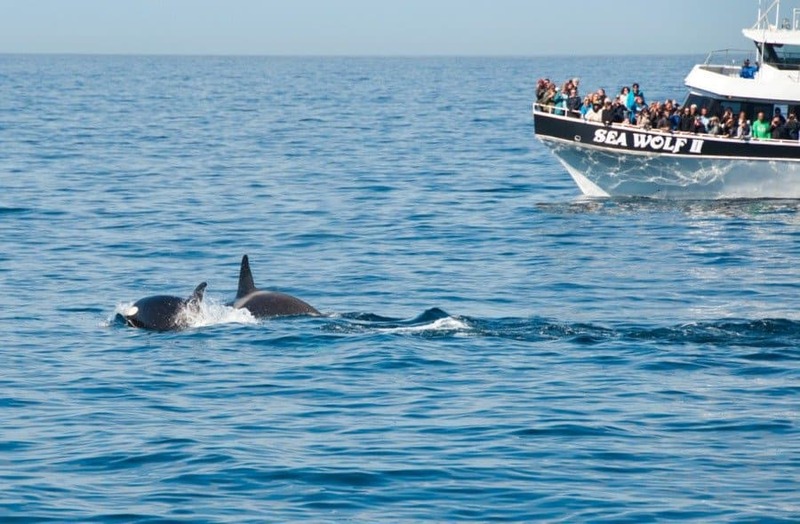 For this reason it’s good to book your whale watching tour early on in your trip so you have more time to reschedule if necessary. Previous day’s sightings are posted on their Facebook page so you can get an idea of what’s likely to be out there. 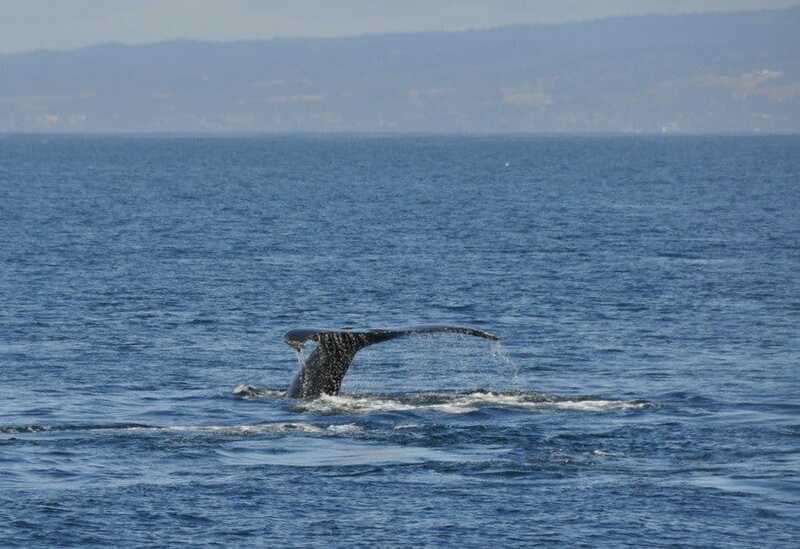 The best time for whale watching in Monterey for Humpback Whales, Blue Whales and Dolphins is late spring, summer and autumn because that’s migration time. (April to mid-December). 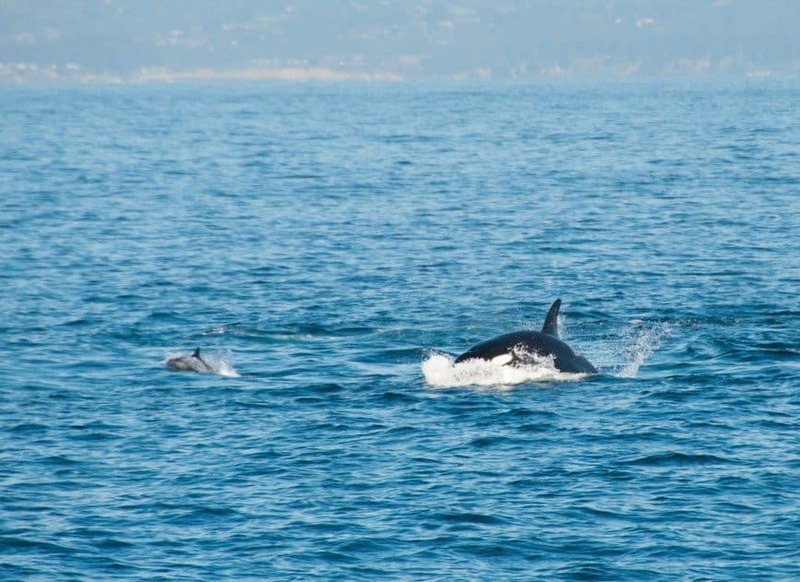 In Winter and early spring (mid-December to March) you’ll still see Gray Whales and dolphins but not Humpback Whales, Blues Whales or Orcas as they’ll have migrated by then. For more Monterey wildlife visit Monterey Bay Aquarium. The aquarium is an amazing underwater world of sea life and is great for children who will love the interactive displays. There’s sustainability information underwater viewing spaces and the Aquarium makes a great day out. Some of the links in this blog post are affiliate links. 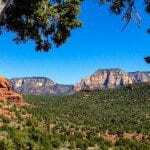 At no extra cost to you, I earn a small commission when you click on them and make a purchase. Thank you. Fabulous post, Suze! You really bring it all to life. 🙂 🙂 Have a wonderful Christmas, hon! Thanks Jo, we’ll do our best! Thanks Jo, it was one of my most memorable travel moments. Such a special day! I love Monterey! Have gone to the aquarium a couple of times, but not gone whale watching there. Your photos look fabulous! It’s so exciting to see whales and dolpins in the ocean! This was one of my all time top travel moments – just incredible! This is incredible! Honestly, a dream trip for me. Such amazing, beautiful creatures. We were so privileged to experience it. A special day I’ll always remember. How fabulous! You’ve saw so many different species too. As you know, just yesterday I qualified as a responsible whale watching guide so I hope to see a lot more in the future too. I’d thoroughly recommend the course with the World Cetacean Alliance. I’ve learnt so much, not just about the whales and dolphins and their behaviour etc but also about how to inspire people to become involved in conservation work too. Blog post all about it coming soon! It must have been a fascinating course. 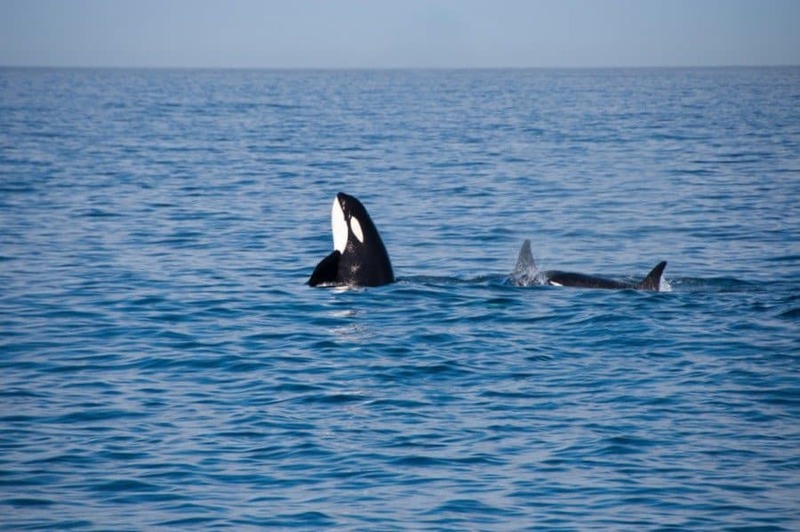 We saw a pod of orcas teaching a baby to hunt so it would be good to understand more about their behaviour and how the infant learned from it. Did feel a bit sorry for the poor dolphin though. I’m looking forward to reading your post. That whale is so cute! Thanks for share. Very nice post , really superb . Thanks for your sharing . Amazing pictures and incredible experience. We have lots of whale watching tours here in the Pacific Northwest as well – which I’m more partial to because I live here hehe. And of course you had the famous clam chowder at the Monterey Pier afterwards right? Still the best clam chowder I’ve ever had. Of course we tried the clam chowder and you’re right – it was delicious! The company we went with was excellent – I’d definitely recommend them. Have a fantastic trip. How fortunate you were to see so many whales! (And great pics you snapped.) We once went whale watching on the west coast of Vancouver Island – but all we managed to see were a couple of tail flukes way out in the distance. 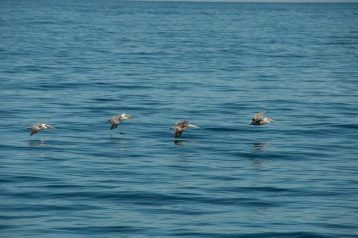 We’ve had better luck, though, spotting humpback whales in Puerto Vallarta. But we never managed to see what we all want to see – a whale breaching. We had a fabulous day and were incredibly lucky – although I believe Monterey is an excellent spot for whale watching. Vancouver is a fabulous area for wildlife – a couple of friends saw bears when they were there in May. I hope you’re lucky enough to see a whale breaching one day. Wow-they certainly delivered on the experience Suzanne! I paid almost twice that amount in Victoria, BC and didn’t see half the wildlife. Your shot of the dolphins is terrific, so playful. I want to go back and do it again! The photos are absolutely superb and what an experience. I am with Kathryn, however, on the sadness of what you witnessed, even though it is part of nature – I am not sure how I would feel seeing it live. Before I got to that bit I was very jealous, and I suppose I still am, for all the other wonderful creatures that you saw. 🙂 Excellent post Suzanne. Oh my goodness – it is the dolphins I love, you saw so many – is that a school of dolphins? Any offshore sailing race – if we see dolphins I am thrilled! So glad you saw so much, not just the whales which are of course incredible! and then the closer we got we realised how many they were. Absolutely wonderful. and not just one or two we saw so many – it was fabulous to see them in their natural habitat. Is it tales or tails?! Haha. I’m jealous you saw Orcas. I saw plenty of wildlife but not Orcas. Good excuse for me to go back! Wow! What an experience. Must have been sad to watch the young dolphin being hunted but that’s the way of things. Glad your whale watching trip was more succesful than mineearlier this year.